Within less than 24 hours, many body systems are affected by adverse changes associated with immobility. Body systems affected include the respiratory and cardiovascular system, the renal and gastrointestinal functions, as well as the skin and musculoskeletal system. Arjo Rental provides both flexibility and choice, allowing access to a bespoke solution which includes the latest equipment to support in and out of bed mobilisation / repositioning whilst channelling limited financial resources to where they are most needed. 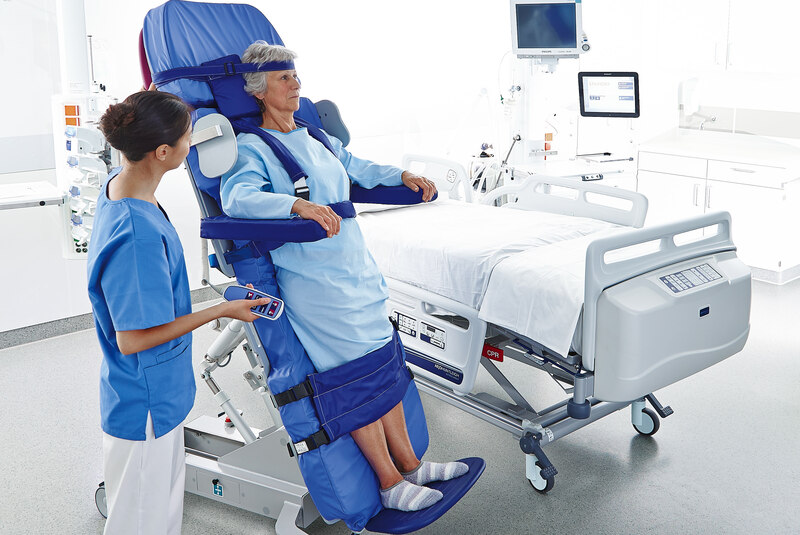 Click below to see how an ICU solution from Arjo can assist with enhanced recovery. 11.HerridgeM,TanseyC,MatteAetal (2011).Functional disability 5 years after acute respiratory distress syndrome. NEJM; 364(14):1293-­‐1304. 15.Devlin JW, SkrobikY, GélinasC, Needham DM, SlooterAJC, PandharipandePP, Watson PL, WeinhouseGL, NunnallyME, RochwergB, BalasMC, van den BoogaardM, BosmaKJ, Brummel NE, ChanquesG, DenehyL, DrouotX, Fraser GL, Harris JE, JoffeAM, Kho ME, Kress JP, LanphereJA, McKinley S, Neufeld KJ, PisaniMA, PayenJF, Pun BT, Puntillo KA, Riker RR, Robinson BRH, ShehabiY, SzumitaPM, WinkelmanC, CentofantiJE, Price C, NikayinS, MisakCJ, Flood PD, KiedrowskiK, AlhazzaniW. (2018) Clinical Practice Guidelines for the Prevention and Management of Pain, Agitation/Sedation, Delirium, Immobility, and Sleep Disruption in Adult Patients in the ICU CritCare Med. 2018 Sep;46(9):e825-e873. doi: 10.1097/CCM.0000000000003299.